Big Ag doesn’t care about flavor. Why? When it comes to growing crops for profit, size and quantity are far more important than flavor or nutritional value. That’s why the tomatoes at your local grocery store are gigantic, but typically taste like wet cardboard. The tendency for plants of larger size to be less-nutrient dense is what researchers call the “dilution effect.” Because there’s sometimes an overlap in the compounds for both nutrition and flavor, this means the higher-yield crops of our industrial agriculture system are often less tasty than the veggies you grow in your backyard. But what if it didn’t have to be like this? What if industrial farms could reliably cultivate produce without compromising how they taste? 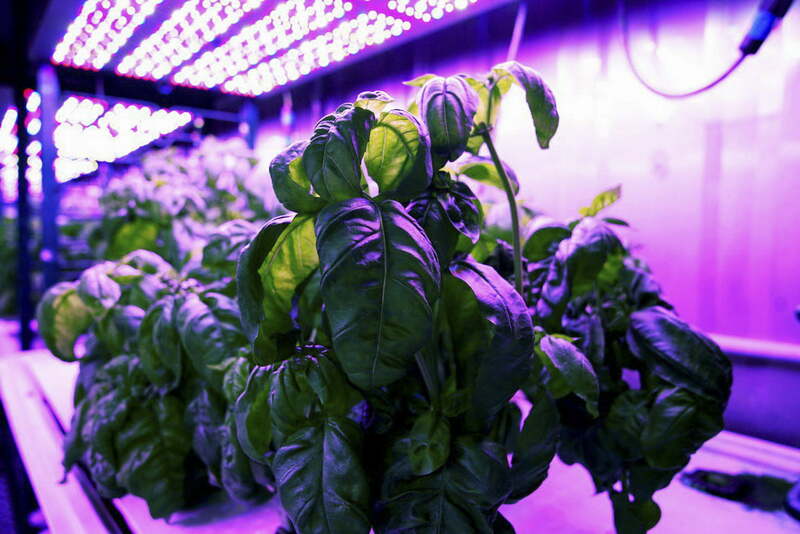 Caleb Harper, a principal research scientist in MIT’s Media Lab and director of the OpenAg group, has been purposely changing the stresses on basil plants to impact their flavor. “If you took the same basil seed and you put in 50 different countries, you would have started with the same genetics but you would get 50 different flavors,” he told Digital Trends. What he and researchers at the University of Texas at Austin found is that exposing basil to light 24 hours a day produced the most flavor molecules or volatile compounds. The results were published in the journal PLOS ONE. Secondary metabolites are organic compounds that aren’t necessary for plants’ survival. They aren’t required for growth or reproduction, but they can have attributes that dissuade predators from eating the plants. Everything from drought to the presence of certain insects affect the production of these metabolites, which in turn can alter how the plants taste. “We had no hypothesis that a 24-hour light period would help us to get the plant to produce the chemicals that we were interested in,” said Harper. When the researchers chose a length of time to expose the plants to indoor daylight, they opted for 18 hours. They built in a photorest period because plants naturally exist on the diurnal cycle, with alternating daylight and dark. The impetus for testing nonstop light came from machine learning. The algorithms, designed by MIT and Cognizant (which acquired Sentient Technologies), analyzed which light conditions would maximize the flavor molecule output. 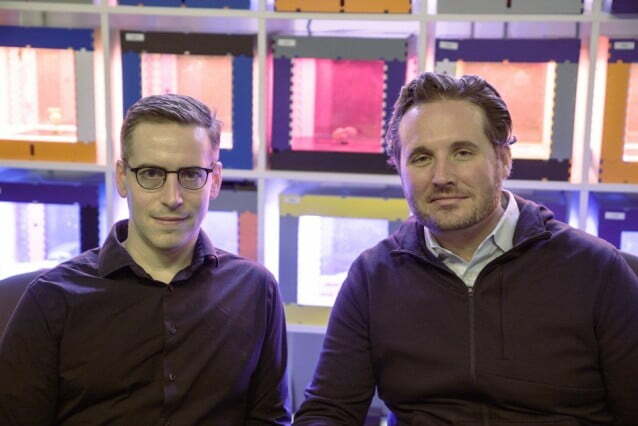 Sentient Technologies was an AI startup that used machine learning for hedge fund trading. Working with Harper’s team, the company appliked that technology to biology. “You can imagine the machine learning part is a series of trades,” said Harper. “I’m trading CO2, temperature, humidity, light intensity, light spectrum for these specific chemistries” that result in a certain flavor. The experiments used Harper’s Personal Food Computers, hydroponic boxes full of sensors, cameras, and circuit boards that can be programmed to control the climate in specific ways, including the spectrum, intensity, and duration of light exposure. When Digital Trends spoke to Harper about his personal food computers last year, he was already imagining a world in which people can buy “diabetes basil” — plants grown under conditions that cause it to express more of specific proteins found to benefit those with the disease. Now he called the PLOS paper “a data-backed, rigorously conducted proof of concept” for being able to influence, via controlled climate, the growth of plants that are more nutritious or delicious. “That’s kind of amazing that we could design flavor from climate,” he said. “And now we’re going to see can we design nutrition.” The goal is to find compounds that influence both. Because Harper takes an open-source approach to food research, he’s hoping the personal food computer community will use some of the results to tweak the climate recipe and grow different flavors of basil. Taste is subjective, so he predicts there will be regional differences in preferences for what elements are expressed. “We targeted secondary metabolites that are perceived as flavor, like clove flavors and lemon flavors, and the overall essential oil content of that basil,” he said. The 24-hour-light basil ended up oily, strong, and a bit spicy. “A small amount of this basil would go a long way in a dish,” he said.